Uses The healthy way to feel good every day! 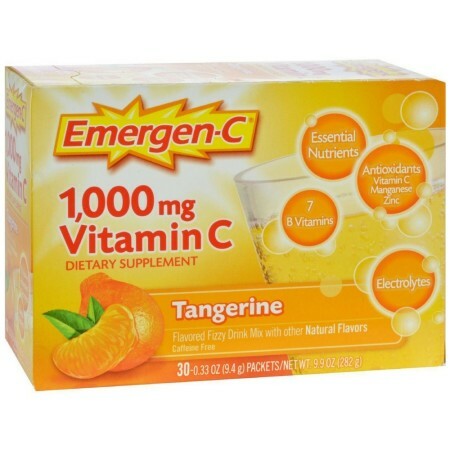 Mix up a packet of tangy Tangerine Emergen-C and watch it fizz. 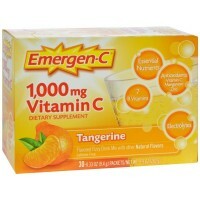 Sure, Tangerine is the slightly sweeter and slightly petite-er cousin of the Orange. But it's always big on fruity goodness. 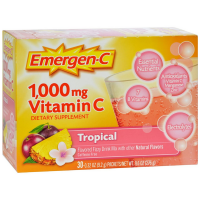 With each sip of this great tasting, naturally flavored and naturally sweetened vitamin drink mix you can feel the 24 nutrients flow through your body in a wave of Emergen-C rejuvenation. 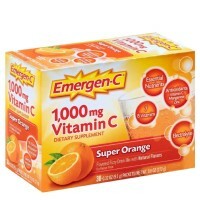 The powerful blend of vitamins, antioxidants and minerals boost your immunity, increase your metabolic function and ignite your energy level* - without caffeine. If feeling good is your thing, you found the right box. Health Boost: 1,000 mg of vitamin C, zinc, quercetin and antioxidants power up your immune system to promote overall health. 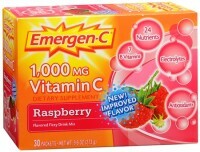 * Energy Boost: 7 B Vitamin including B1, B2, B3, B6, and B12 offer a natural energy boost* - no caffeine, no crash.